Here all at Portmaps registered marinas are shown on the map. 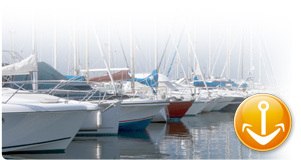 For each marina there is a sheet with the exact location, contact information, facilities and services, photos and ratings. Very useful are the details for the marina entry. At "comments" you can find individual ratings which other yachties, who visited that marina already. Each portmaster has the possibility to describe his marina with all useful information. The access data can easily be asked at Portmaps. Individual marina-guide: Portmaps offers you the opportunity to download each data sheet as PDF – so you can arrange your own individual marina-guide for your next boat-trip.